main page projects operational monitoring of earthquake forerunners japan under the threat of qake again. 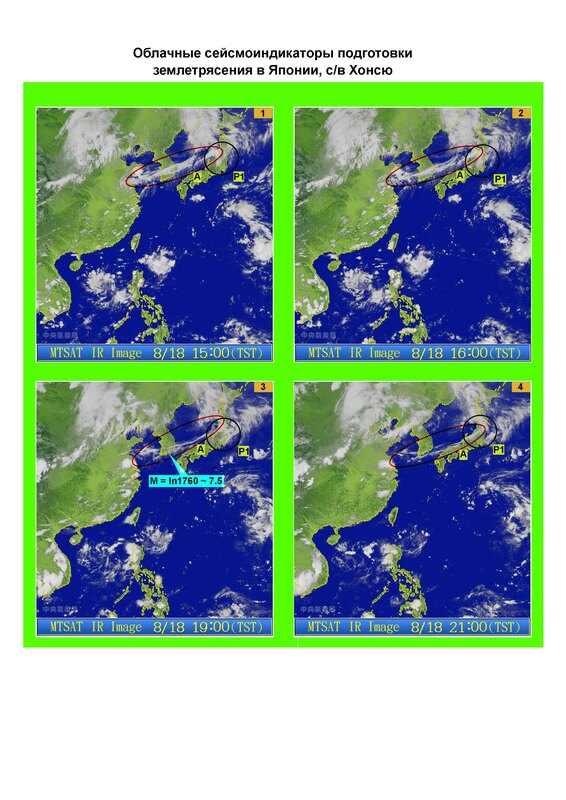 On spaceimages of Japan, NC OMZ specialists has detected the cloudy signes of earthquake. The data of space monitoring at 18-19 August offer the potential magnitude events M7.5 + (Annex 1). Probable date is specified. According to our estimation its 5 September 2009.